For sample verses from A Layman’s Translation of the New Testament, click here. Facsimile: A PDF is available from Scribd. 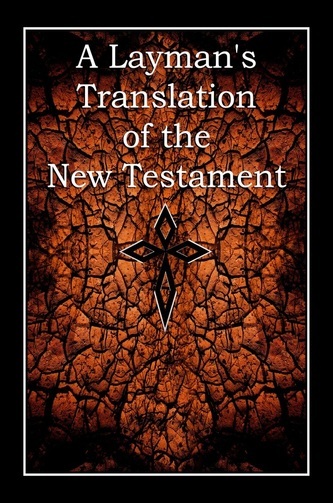 References: Bradford Taliaferro's The Bible Hunter blog, September 19, 2015. 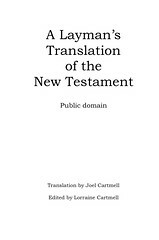 Comments: The translation is based on Jay P. Green's Hebrew/Greek/English Interlinear Bible; Lorraine Cartmell assisted with editing the version. 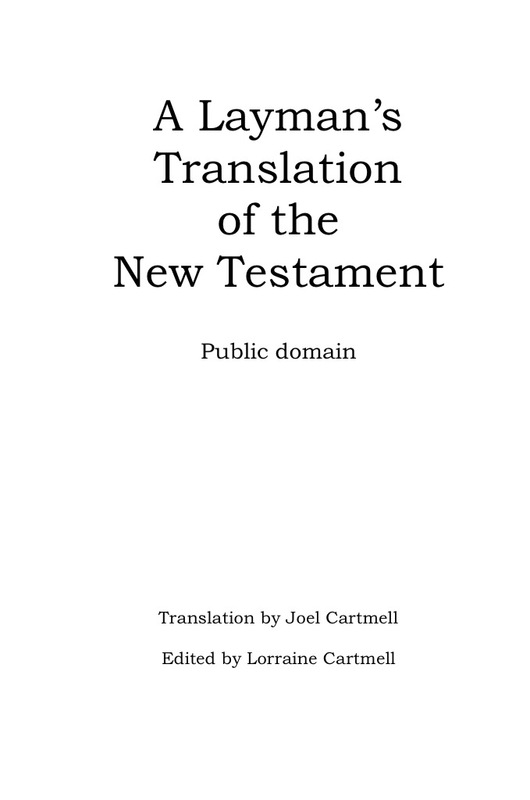 The translation can be purchased from Lulu; details can be found here.